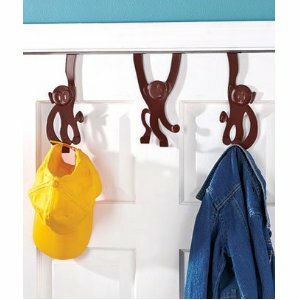 Getting kids to hang up their clothes can be a battle, but you can make it fun with this cool Over The Door Monkey Hanger. These little primates will take a daily chore and make it more fun than a barrel full of . . . well, you get the idea. The kids can trust these little monkeys to take good care of their jackets and bathrobes for them.